The Essential Sarah Lawrence: "What We Do Here Makes an Impact Everywhere"
158 Sarah Lawrence students studied abroad last year, thanks to supporters like you. 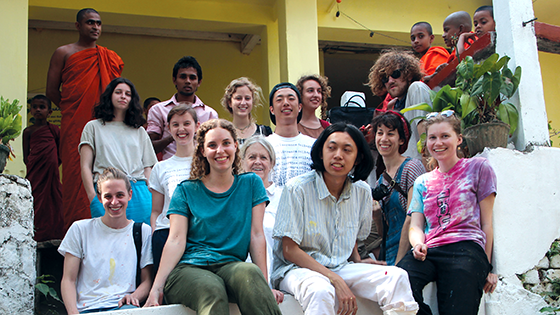 Visual arts faculty member Kris Philipps and staff member Janine Ryan—together with 10 Sarah Lawrence visual arts students, including Lili Boisrond '17—devoted their spring break last year to restoring Buddhist temples in Sri Lanka. The Sarah Lawrence experience is characterized by these students' drive to not only see the world, but to become meaningful participants in it.